The Year Five to Year Eight Enrichment Program 'Adventure Through Time', starts today, Wednesday 26 July 2017. Homer's epic poem, The Iliad, is one of the greatest adventure stories of all time. Rich with arresting imagery and memorable characters, its powerful metaphors still permeate modern culture. This brilliant retelling offers young readers an exciting introduction to the heroes of ancient Greece while providing the complete story of the battle of Troy. The legendary beauty, Helen, is abducted, leading to a decade-long conflict in which even the gods and goddesses take sides and intervene. This is the Trojan War, where the most valiant heroes of the ancient world are pitted against one another. Here Hector, Ajax, Achilles, and Odysseus meet their most formidable challenges and in some cases, their tragic ends. 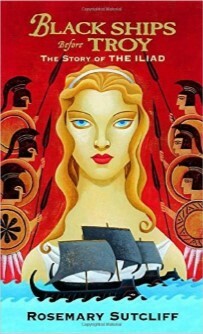 Rosemary Sutcliff makes such extraordinary stories as those of the Trojan horse, of Aphrodite and the golden apple, and of the fearsome warrior women, the Amazons, accessible to contemporary young people. The Ninth Legion marched into the mists of Northern Britain—and they were never seen again. Four thousand men disappeared and their eagle standard was lost. It's a mystery that's never been solved, until now . 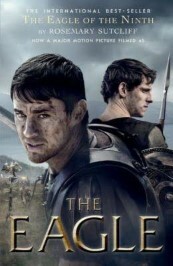 . .
Marcus has to find out what happened to his father, who led the legion. So he sets out into the unknown, on a quest so dangerous that nobody expects him to return. Disguised as a Greek oculist and travelling beyond Hadrian's Wall with his freed ex-slave, Esca, Marcus finds that a demoralized and mutinous Ninth Legion was annihilated by a great rising of the northern tribes. In part, this disgrace was redeemed through a heroic last stand by a small remnant (including Marcus's father) around the legion's eagle standard. Marcus's hope of seeing the lost legion re-established is dashed, but he is able to bring back the bronze eagle so that it can no longer serve as a symbol of Roman defeat – and thus will no longer be a danger to the frontier's security.